Dirt buildup can damage your carpet’s fibers. You can avoid this problem by turning to a dependable carpet cleaner for regular carpet cleaning services. Choose the Colorado Springs carpet cleaners at Carpet Care Craftsman for effective carpet cleaning services. Our Colorado Springs carpet cleaners can get deep-seated dirt out of your carpet and make it look new again. Our Colorado Springs carpet cleaners have more than 100 years of combined experience in the industry. Turn to us for carpet cleaning services, and we will put our expertise to work for you! Why Do You Need Colorado Springs Carpet Cleaners? Colorado Springs carpet cleaners know how to properly clean your carpets. Some people think there’s no need to hire a carpet cleaner or employ carpet cleaning services. However, steam cleaning and vacuuming your carpet can only remove surface dirt. The fibers have deep-seated debris that will stay there until Colorado Springs carpet cleaners work on your carpet. Our Colorado Springs carpet cleaners know the right Colorado Springs carpet cleaning techniques to thoroughly remove dirt in your carpet. Every carpet cleaner in our company follows a multistep Colorado Springs carpet cleaning process. By identifying the problem and performing the appropriate Colorado Springs carpet cleaning solutions, our Colorado Springs carpet cleaners can make sure that your carpet is free of ugly spots and tough stains. Colorado Springs carpet cleaners and their carpet cleaning services can help protect your health. Every carpet cleaner can tell you that dirty carpets pose a health risk. Colorado Springs carpet cleaners can help protect you by using Colorado Springs carpet cleaning methods that can eliminate dust, allergens, and bacteria. Our Colorado Springs carpet cleaners will make sure that their carpet cleaning services will leave every part of your carpet fully sanitized. By getting your carpet completely clean, our Colorado Springs’s carpet cleaners can help create a healthy environment in your home or your office. Colorado Springs carpet cleaners can help you extend the life of your carpet. 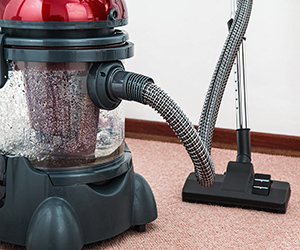 Even with regular steam cleaning, your carpet will still accumulate dirt and dust. You might be tempted to replace your carpet or even replace your flooring with cold tile. However, a carpet cleaner and his or her expertise in carpet cleaning services can make you think twice about your decision. Save your carpet by relying on our Colorado Springs carpet cleaners. By providing you with carpet cleaning services that are based on research and experience, our Colorado Springs carpet cleaners can keep your carpet looking good for the years to come. Colorado Springs carpet cleaners can help you save money. Buying or renting a vacuum cleaner and steam cleaning equipment can be quite costly. By hiring our Colorado Springs carpet cleaners, you won’t have to invest in carpet cleaning equipment. Our Colorado Springs carpet cleaners already have the necessary equipment to get the job done efficiently. On top of that, we offer our carpet cleaning services at rates that won’t break your budget. Colorado Springs carpet cleaners can help restore your carpet’s original appearance. A carpet that has not been serviced by a carpet cleaner for a while will look stained and dusty. Colorado Springs carpet cleaners and their expertise in providing carpet cleaning services can help make your carpet look refreshed. Depending on a carpet cleaner for first-rate carpet cleaning services can help bring back your carpet’s prime look. Spots sometimes appear even after steam cleaning and brushing your carpet. By turning to a carpet cleaner for professional carpet cleaning services, you can avoid that problem. Our Colorado Springs carpet cleaners’ knowledge of different types of carpet and expertise in providing carpet cleaning services can you give you the best possible results. Colorado Springs carpet cleaners can give excellent carpet care advice. Apart from providing carpet cleaning services on a regular basis, our Colorado Springs carpet cleaners can also share with you simple cleaning methods. These will help ensure that your carpet doesn’t get too dirty before your next scheduled carpet cleaning in Colorado Springs. Our Colorado Springs carpet cleaners can give you tips on how to properly care for your carpet. The expert advice our Colorado Springs carpet cleaners will give you will be based on your carpet’s fabric and size as well as in which area of your property it is placed. Learn more about carpet cleaning here. If you’re having trouble steam cleaning your carpet or keeping it well maintained, don’t replace it with tile just yet. Our Colorado Springs carpet cleaners at Carpet Care Craftsman can provide you with efficient carpet cleaning services and do the hard work for you. Schedule an appointment today for carpet cleaning services, and we’ll have a reliable carpet cleaner get the job done in no time. Learn more about why it’s important to have your carpet cleaned here.